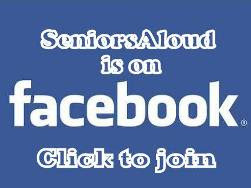 SeniorsAloud: ARE WE TOO BLINDED BY DOLLAR SIGNS TO SEE THROUGH SCAMS? ARE WE TOO BLINDED BY DOLLAR SIGNS TO SEE THROUGH SCAMS? Any 31-year-old who makes millions, has the titles 'Dato Seri' and 'Dr' precede his name arouses more than my admiration. It stirs my curiosity big time. I have worked hard my whole life, lived frugally and now at the ripe old age of 65 have accumulated savings sufficient only to continue living frugally for the rest of my retirement years. After a lifetime of sweat and toil, and years doing community service, I still don't have a title to my name or millions in my bank account. So, of course, I want to know how this Dato Seri Dr Peter Ong Kean Suan did it. How did he amass so much financial wealth at so young an age that he can play philanthropist to the hilt and not feel the pinch? I am talking about donations amounting to RM690,000. Certainly not an amount to scoff at. 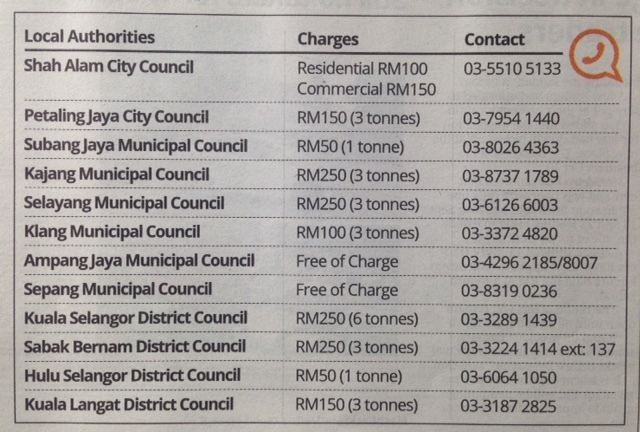 This advertorial in The Star, 19 Nov 2013, got me asking 'Who is this Peter Ong Kean Swan?' According to the advertorial, he arrived in style at his 31st birthday celebration - in the 'surewin4u self-purchased private helicopter...escorted by police cars and 40 bodyguards'. Wow! But why the need for that many bodyguards? Is he afraid for his life? Why? Don't you want to learn his secret of generating wealth? Well, I certainly do. 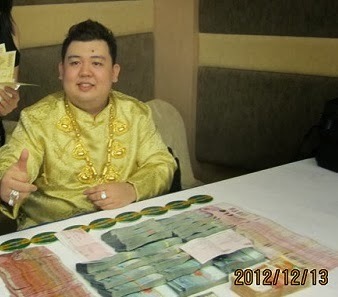 I want to learn from this making-money sifu. Thus began my Google search to find out more about this bigger than life young man who is CEO of Surewin4u. With such a name for a company, how can anyone who invest in it not win? That's probably how this Dato gets folks to place their trust and confidence in him - by convincing them they will make many times more the amount they have invested in Surewin4u. From Surewin4u website. Impressive enough to win over some folks eager to make money. Basically, this is how the system works. The company uses the money you have invested (entry point fixed at RM25,000) to gamble on your behalf at the casino. They claim to have devised a system that is guaranteed to beat the odds at the gambling table 100% of the time, and you get a monthly dividend of 8%. They are so confident about their system they even have a refund policy to assure investors they have nothing to lose. This is the carrot that they dangle before potential investors. Those who can see only dollar signs in the carrot and not the beta carotene in it will want to go for it. There's nothing to lose with the guaranteed refund, right? Intrigued by this 'sure-win-for-you' system, I decided to investigate further. Guess what turned up? This picture below taken from Astro Awani allegedly shows a man who resembles Ong Kean Suan (sans titles) in handcuffs being escorted by the police to the magistrate's court on a charge of impersonating royalty to get room discount at a hotel! The picture is dated 20 March 2013. As far as I know, the company is still operating and still attracting investors, so it could mean the charge has been dropped, or the man has been acquitted. This looks like a direct translation from Malay in the original post dated 20 March, 2013. Eight months later, this photo below taken from The Star shows Ong celebrating his birthday in grand style. Is this the same Ong Kean Suan of Surewin4u? So the question you may want to ask me - why am I so interested in this Peter Ong and his mission to help make millionaires out of us ordinary folks? Well, I have good friends who have invested their retirement savings and had their fingers burnt investing in various get-rich schemes. That's why. It pays to be extra careful when parting with your money. A young man can still get a job and work hard to rebuild his lost fortunes. But not for a retiree. He sees his dream of retiring to a comfortable life going up in smoke. Retirees are a favorite target of agents dealing in pyramid or multilevel get-rich schemes. They have a tidy sum in their retirement funds, and many are looking at ways to make that sum grow. We have all read about people who have lost their life savings in their desire to make money quickly and easily. Yet they don't seem to have learned their lessons. As is often the case, greed or desperation makes good people throw caution to the wind, and they end up with nothing to show for all the years of hard work and saving. The worst off are those who find themselves in debt because they borrowed money to invest in these schemes. Now life is hell for them as they are hounded daily by Ah Longs or loan sharks. If you don't have excess money to play around with, if you know next to nothing about investing, if you have no clue how the stock market works, the safest thing to do is to do nothing, and let your money earn interest in the bank or EPF. You won't get much, but your exposure to risks is low. Alternatively, find a financial consultant you can trust and who truly has your interest at heart to manage your money. He must have an excellent track record of good returns on investments. So, is this one a scam or a legitimate money-making venture? It would interesting to find out from folks who have invested in the company and have reaped profits. Success stories are always inspiring. 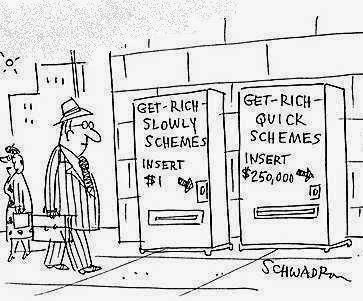 It is easy to tell whether a scheme is a scam or not. Remember, if something sounds too good to be true, it probably is, especially if it promises easy money and quick returns. So if your nose tells you there is something fishy about any invitation to make quick easy money, stay away from it. Your retirement savings is meant to see you through your golden years. Make sure you protect it. Accept good deeds for charity I don't believe there is such a thing as a free lunch, otherwise nobody need to work hard and slog for a living. I tend to view any quick get-rich scheme that is too good to be true as potential scams. So true, Allen. Trouble is most people suffer from short-term memory, and lessons learned are soon forgotten. So there will always be scams just as there will always be gullible folks too blinded by easy money to smell a scam. I do think that many gullible folks do smell a scam when they see one but it is just that their greed for instant gratification of what they perceive as easy money is too strong to resist and thus got in the way of rational thinking. Thanks for the comment, Gan. Like any trap, if the prey takes the bait, it will get caught. So it is with scams and bribery. As long as there are takers, there will always be unscrupulous 'givers'. It takes two hands to clap. What amazes me is the audacity of this Ong chap. Even after his previous arrest for alleged fraud, he dares to show his face in a full page ad for all to see. I seek anyone here able to hive clear and solid evidence to this that you called scam? Otherwise you are getting yourself into a irresponsible and legally chargeable offence. Surewin4u CEO Ong Kean Swan has done so much for its members without rest, improved so many people financial situate and it's family, created clear and strong expansion for a stable business all for its members. You do not know much which I ask you to retract your statement here. People who stand outside of room do who has not even enter the room do not know anything inside the room. Likewise that if you have not come to understand Surewin4u CEO Ong Kean Swan and his family has done so much for its company and members, how many lives haven been changed for better, you do not stand the right to comment. Be wise and don't act as so. When white swans appear 100 times it make all ppl believe all swans are unquestionably white, until a black swan appear in front of their eyes. When too many scams going on, it makes ppl perceive that all too-good to b true deals are scams. This common human thought pattern in some ways has hindered our ability to discern what is real and unreal, all the more so if one's judgement made is merely based on what he reads on the web which is dominant by too many fabricated content. Miracle will never be seen by those who choose to shut their *hearts* to see them. Only the victorious dare to "embrace" it. 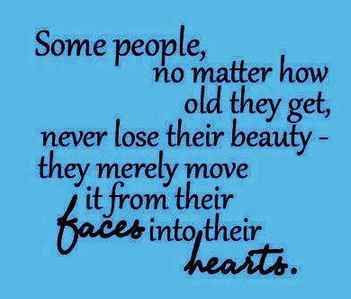 le will never be seen by those who choose to shut their *hearts* to see them. Only those who dare to "embrace" it will b victorious to the end. Facts speak for themselves. It would be interesting to hear testimonies from the company about their real life success stories, and how the company has helped many families improve their lives. Hopefully some folks can share their positive experience investing with the company. It would be good to do so as you said. Better not from the company but from those personal testimonial as individual. We are all not gullible as judged by those unfair statement. This is frustrating when someone criticise others who have personal life improved just wanted to share with others in a win win situation. Do not judge others unless proven scam otherwise surewin4u deserved all respect like any other business. 1) Are we not following you into your terrible life situations till the ripe old age of 65…? 2) Are we not having poor vision of following “the blind leading the blinded”? If 130 thousand SUREWIN4U members worldwide are saying YES to Peter's fantastic, huge and awesome WINNING CHEQUES from reputable international casinos, how many people do we have here to say NO? Peter's WINNING CHEQUES from those casinos are REAL! If anyone here insists that the cheques are fake, perhaps, he could show, broadcast and post on the internet or national newspapers declaring his own personal WINNING CHEQUES from the same reputable casinos in SGD, AUD, USD and GBP millions as what Peter had done. ... What amazes me is the audacity of this Ong chap. Even after his previous arrest for alleged fraud, he dares to show his face in a full page ad for all to see." In Malaysia and British Laws, if a report on criminal frauds, etc are duly lodged with the police, normally the latter has to arrest the person for investigation, whether he be right or wrong. Unless, proven guilty he remains innocent. Peter was released by the court after the police finished their investigations, without any criminal or adverse record being levied on him. Peter Ong Kean Swan is an ethnic Chinese Malaysian. In Bahasa Malaysia, they used the word “menyamar” on him. In English, they used the word “fake or imposter” on him. I do not know how those narrators, news-writers and the forum-writers understood or understand the above word(s) used for this situation or context. When “menyamar”, “fake or imposter” is applied to the victim, it implies that the title was being used by the accused with the purpose or intent to deceive ”undetected”. Those narrators and writers must be aware that the accused was actually also using his Chinese name. When his Chinese name was used with an “uncommon” Malay title "Tengku" to a Chinese, could the accused pass himeself off to deceive “undetected”? Definitely, he could NOT deceive and be undetected! If he really used the title as reported, then he actually used it openly, not hiding or with an intent to deceive or to avoid detection because his Chinese name was also used with this uncommon Malay title "Tengku". All those hiding, deceiving and avoiding detection could not happen because he is an ethnic Chinese bearing a Chinese name! This means he “bona fide” had the necessary proof(s) of his “call-name or nama panggilan” NOT "nama samaran". Fake, imposter and “menyamar” were the wrong words to use for this budding Chinese Malaysian; a misnomer in this case! Therefore, he did not “menyamar sebagai Tengku” or was he a “fake Tengku” or an “imposter Tengku”! I trust the writers concerned need to address their understanding of the word(s) used for certain situation or context, and not just a distorted appreciation of English or Bahasa Malaysia to be fair to the victim(s). If you had seen in newspapers and TV, people with guilt intent (mens rea) when arrested would normally shade, hide or cover their faces. Peter Ong Kean Swan has nothing to hide or feels ashamed, so why could not he proudly show his face? "Retirees are a favorite target of agents dealing in pyramid or multilevel get-rich schemes. 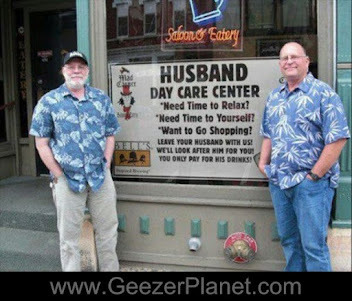 They have a tidy sum in their retirement funds, and many are looking at ways to make that sum grow." If one has worked in MLM, Pyramid or Get-Rich Scheme (GRS); one would know it is real hard work and not sitting on a cozy chair of a traditional worker. MLM and GRS need a lot of hard work in gathering and transporting downlines for sales meetings, sleepless nights of catching up to hit breakthrough incomes. If it is not "breakthrough incomes" then how to GET RICH FAST? One would be better working in a traditional office setup and have more serenity than being attacked by ill-informed people around, harassed by the rival MLM's internet forum-writers and being labelled as SCAMS till "eyeless staring at Gaza!" Now who are they so pure as not to GET RICH FAST? To say "no" is pure hypocrisy. In fact, they do not have the opportunity to GET RICH FAST! MLM and GRS are not suitable for most retirees whose mindsets are attuned to those process of safe ROI similar to banks and financial institutions. However, MLM and GRS provide a comparatively high ROI. This is a wrong and misleading concept if one wants to join MLM or GRS as a sedentary investor. MLM and GRS workers are racing against the digital time for breakthrough incomes! They are seasoned team-mates and would not fear Scams or Pyramid, come what it may! They just need a platform to run their tontines. Therefore, they are not blind or blinded as not to see Scams. In fact, they know and understand the industry more than most of us. If one is an individualist, then do not partake in MLM or GRS programmes. It could result in alot of heartaches. If one has alot of willing and dynamic friends, then MLM or GRS will do him justice. Retirees are not the seasoned MLM or GRS leaders' targets. So are the traditional business or office workers. Surely, the real MLM or GRS leaders would prefer MLM or GRS Industry workers, just like the choice of traditional business HR Managers. Surely, the leaders would prefer MLM or GRS Industry workers, just like the choice of traditional business HR Managers. They are more confident that people from the same industry can faciltate the teams to reach their breakthrough incomes. Hence, retirees and traditional workers are not the targets because the leaders do not have much time to re-train their traditional work mindsets to the MLM or GRS Industry type of work. They must be actively dynamic and able to run around the programmes meted out by their team leaders. However, they are acceptable as add-ons, so to speak, if they are not able to be immersed in the MLM or GRS work teams and their busy programmes. To those add-ons, Caveat Emptor! "I have worked hard my whole life, lived frugally and now at the ripe old age of 65 have accumulated savings sufficient only to continue living frugally for the rest of my retirement years. After a lifetime of sweat and toil, I still don't have a title to my name or millions in my bank account." Perhaps, you did not have a dynamic counsellor to propel you when young "to cross the Rubicon". At your ripe age of 65, it is more important to have peace and serenity rather than having strings of degrees or titles, or a lot of overspilt monies which you lamented, so to speak. Now, Peter is rich… he actualizes his dreams by giving back to society. Yesterday has begun to rust. Tomorrow is not guaranteed to us! Footprints on the sands of time! Successful as he be, Peter has no free lunch for himself. Nonetheless Peter gives free dinner to the audiences and guests attending his BOP (Business Opportunity Presentations) without any frills or risk or commitment on the latter. Totally FOC, a nice dinner at the restaurants! Peter and his brothers totally had no mountains of wealth to lean for support. Peter and Philip earned their first millions in their 20s, whilst studying full-time for their degrees, but lost everything to swindlers, nearly two years later. They picked themselves up and made it to more millions in 2008, but their bosses absconded and left the brothers in the lurch. He had only RM2000 or HKD4000 with him gathered by the parents, and with Philip, both brothers ventured abroad to Cambodia to face the brave new world. They hoped that in Cambodia, their money could last longer. God makes a way when there seems to be no way! Philip won the Baccarat King 2009 competition in Cambodia. The competition title is Baccarat King. hope to make everyone’s dream comes around as Sure-Winners (圆梦赢家). When there is no more hope, life still hopes for hope. In countries where there are wars, even the brightest human folks have no hope. Nothing is guaranteed even in traditional business of life-long working or life-long savings. Nothing is precise and conclusive even with tons of life experiences and exposures. Good education is also no guarantee of success in life! But, Peter and Philip dared to dream – SUREWIN4U! * Braving Typhoon Muifa in Honggjiao Shanghai which destroyed a huge billboard opposite the hotel they just arrived to conduct their maiden Baccarat classes. * Braving the terrible derailment of the fastest train in the world when going to Hangzhou and many more incidents. Few people who have gone through this trajectory in life could lift themselves up or dare to dream. Great Article. I'm delighted to stumble upon your article that echoes the same values as my learning organisation Empower Advisory Pte. Ltd.
Let's keep voicing out and warning others about Scams/Con Artistes out there!